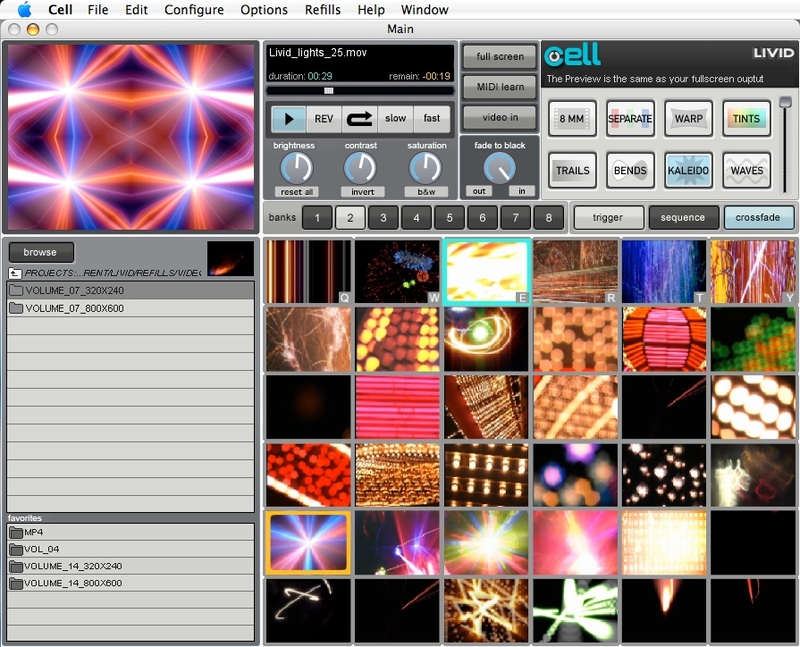 Create real-time video for VJ performance. Is there a better alternative to Cell? Is Cell really the best app in Video category? Will Cell work good on macOS 10.13.4? Cell is a real-time video program designed to provide instant playback and performance for VJs, DJs, lighting designers, musicians, video presenters, and others. Through a touch-screen friendly interface, the software offers real-time effects, live video input, MIDI control, a Clip Bank, and playback manipulation that includes scrubbing, speed, loop, and reverse play. Version 2.51: Release notes were unavailable when this listing was updated. Cell needs a review. Be the first to review this app and get the discussion started! Cell needs a rating. Be the first to rate this app and get the discussion started!